Michelle was diagnosed with Epilepsy at 11 months old. She under went brain surgery in 2013 and is seizure free to date. She is a 2003 graduate of Marksville High School and resides in Louisiana. She is a registered medical assistant and works as a restaurant manager, but advocacy is where her heart is. She started TTWP as nothing more than a simple support page on facebook but it soon expanded into a non profit foundation, with 13K+ followers. Jessica obtained her Bachelors in Science & Nursing ten years ago with Houston Baptist University. She began her career as a bedside nurse working in various units over a 5-year span; Neuroscience ICU, Neuroscience IMU, and Cardiac Telemetry. 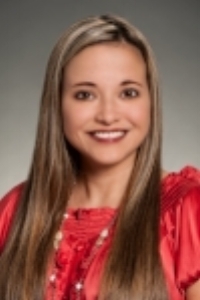 Currently, she is the epilepsy nurse coordinator for the Texas Comprehensive Epilepsy Program in Houston. She enjoyed her time as a bedside nurse, gained administrative knowledge as a nurse coordinator, and have since completed the curriculum for her nurse practitioner certification.